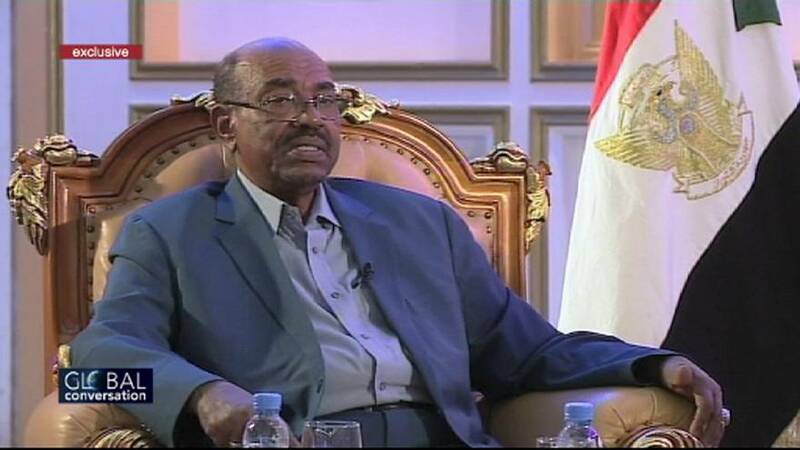 In an exclusive interview with Euronews’ Mohammed Shaikhibrahim, Sudanese president Omar al-Bashir accuses Israeli and American secret services of supporting Islamic extremist groups such as ISIL. Bashir defends himself against charges of genocide and war crimes brought against him by the International Criminal Court for atrocities in Darfur that he is said to have ordered (more context on that here). He also shares his thoughts on the secession of South Sudan in 2011 and explains why he will be standing to run again for election later this year.